Autumn sees the end of the good low tides in Seattle....September and October have few minus tides so beach exploration slows down.....weather can be a factor also. 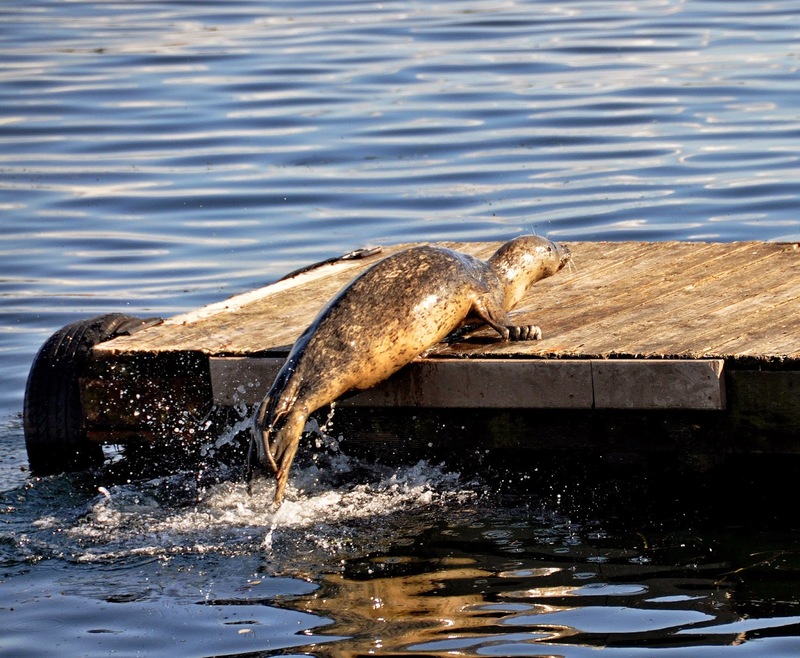 Harbor Seal pups have been weaned by October and are attempting to adjust to being on their own for the first time. The mothers have provided rich milk for 4 to 6 weeks and the pups may have doubled their birth weight of about 23 lbs.....but this weight gain is now becoming a weight loss. The pups do not start eating solid food for 10-14 days after weaning....and then do not reach a positive energy balance for another 2 weeks....that's a month of losing the baby fat they put on while nursing. We don't see fat pups now....we see ones that are slimmer than they were at the end of nursing. This is a very stressful time for the pups and 50% of them will not survive the first year. Seal Sitters are busy checking the beaches for pups, setting up barriers and providing volunteers to monitor the resting pups. It has been a busy Autumn so far with as many as 5 pups on West Seattle beaches at one time. 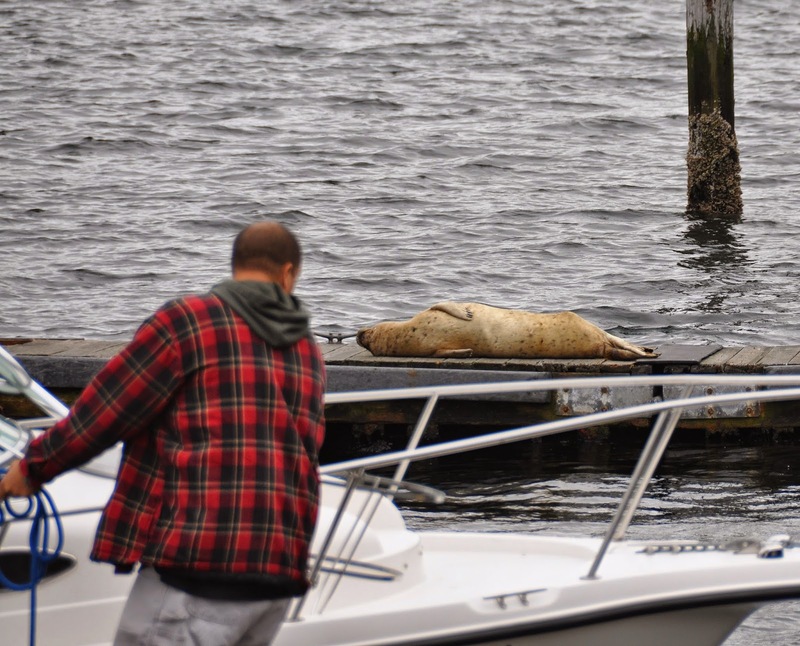 In addition a female adult seal took up residence on the floating dock at the boat ramp. A very poor choice of resting locations. 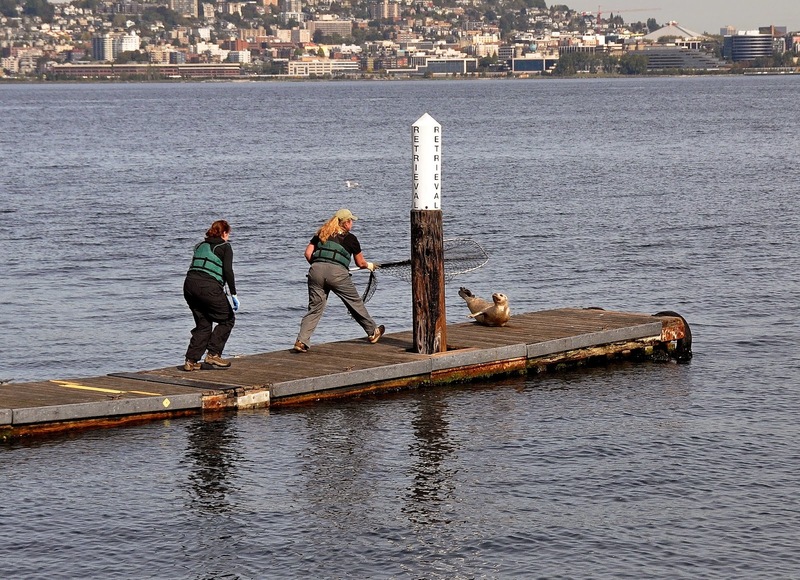 After 5 days an attempt was made by WDFW to remove the seal to a different location but capture attempt was not successful....indicating that the seal was healthy...and quick. 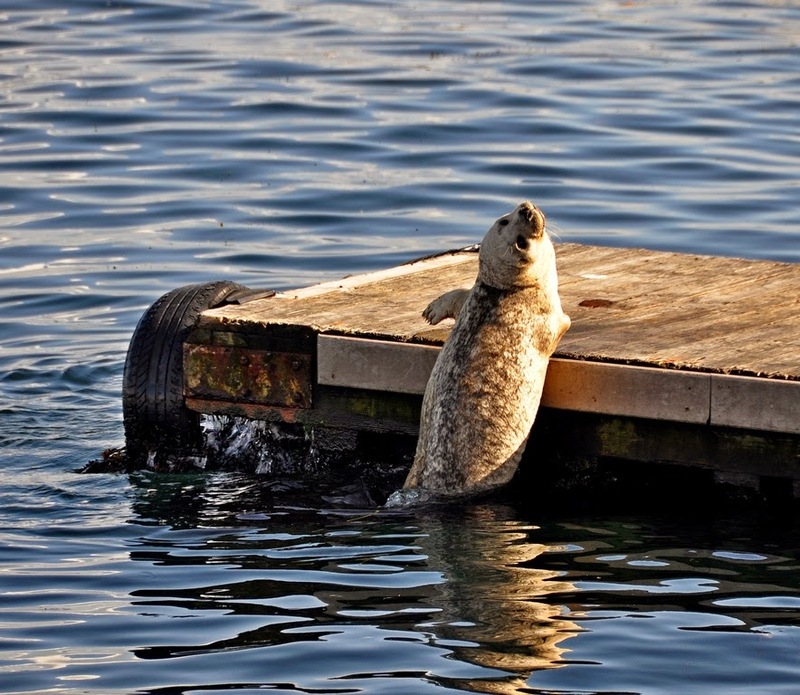 Since the capture attempt the seal "Jellybean" has not returned to the dock. ALASKA - LAST REFUGE FOR SEA STARS? The opinions in the blog do not necessarily reflect the views of the insane person who posted them. And what's with time anyway; It seems like only yesterday we were calling today tomorrow.